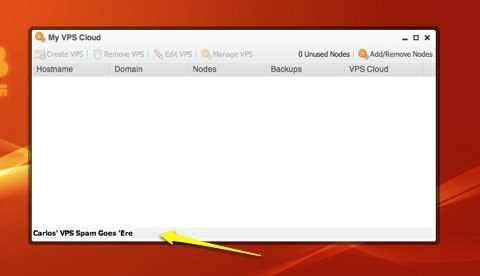 So I asked one of our Tera CP developers, who is working on the new VPS.NET integration, to create me a “TEXT” area on the Cloud Servers section that would show to clients who dont have any cloud servers. The idea is to place some nice text explaining what Cloud Servers are and why people should but it. He did it, but he called it SPAM ! !